Don’t take it from us, read what our clients have to say. "they took fantastic candids and helped us to feel more comfortable in front of the camera for our couple shots." "Stella and Amy were married on Saturday11th August 2018 at Whalton Manor in Morpeth with their reception at St Mary's Heritage Centre in Newcastle Upon Tyne. “Chris and Shazia are incredible and I couldn’t recommend Chocolate Chip more. Our photos are beautiful and we haven’t stopped looking through them. Chris and Shazia easily became part of our wedding, they took fantastic candids and helped us to feel more comfortable in front of the camera for our couple shots. "We wanted more natural shots that told the story of our wedding day and Chris managed to capture it perfectly." Kayleigh and Andrew were married on Friday 3rd August 2018 at the South Causey Inn Old Barn. “We cannot recommend Chris enough! 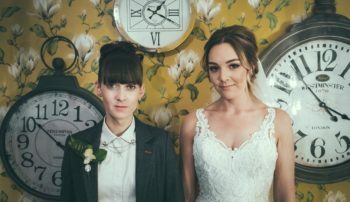 We spent ages trying to choose the right photographer and met Chris at a wedding fayre and knew straight away that we wanted him to photograph our day. We were nervous about being in front of the camera but he put us at ease and we actually ended up really enjoying being photographed. We wanted more natural shots that told the story of our wedding day and Chris managed to capture it perfectly. 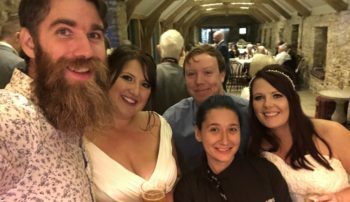 "Thanks again a million times over to being totally awesome sauces from day one and giving us such valuable memories from our wedding day that we can cherish forever." "Rob and Laura were married on Wednesday 23rd August 2017 at Healey Barn, Northumberland. “What can we say about Chocolate Chip Photography, since meeting them on that very first meeting we just hit it off and just knew they were the ones for our wedding day and we barely even talked about photography! We got an awesome vibe from Chris and Shazia and their work speaks for itself! They are both mega talented and on the day of the wedding go above and beyond their roles of wedding photographers/videographers! We have now become such good friends with them both and with our photos and video both in our possession have got to say they are worth every penny, the best and most important money you will spend on your wedding day make sure you choose these guys! You won’t be disappointed! The photographs are beautiful and the video we have will be getting watched for many years to come as it’s truly unique and more of a movie than your standard wedding video! "I can’t recommend Chocolate Chip Photography enough; absolutely first class service and such amazing photographs." Chris and Claire were married on Friday 10th August 2018 at the Baltic Centre for Contemporary Art, Newcastle Upon Tyne. I found Chocolate Chip online when I was researching local wedding photographers for my wedding. I loved their style, showed my now husband, and pretty much knew they would be the ones we would go for! We met them at a Wedding Fair, and immediately made the decision to use them for our wedding after meeting them in person. Chris and Shazia are so friendly, their studio is lovely and they’re absolutely worth every penny. We had Chris at our wedding, and he was more like a guest than a photographer. I barely noticed he was taking pictures during the wedding, and the moments he captured for us are just fantastic. We were very at ease for our “couple” photos, and Chris had loads of great ideas. We trusted him implicitly and we have loads of beautiful photographs of our special day. I can’t recommend Chocolate Chip Photography enough; absolutely first class service and such amazing photographs. You can tell they both push themselves to deliver the best for their clients, and also to challenge what wedding photography is. If you’re looking for amazing photography, creative ideas and someone who is a delight to work with, then use these guys!! 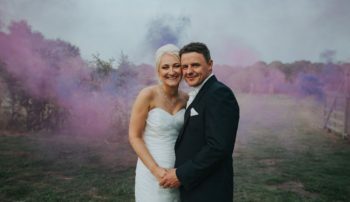 "During the day, Chris, Shaz and Aaron worked seamlessly - blending into the background allowing us to enjoy the day and they captured it all perfectly." Laura and Danielle were married on Wednesday 1st August 2018 at Healey Barn, Northumberland. 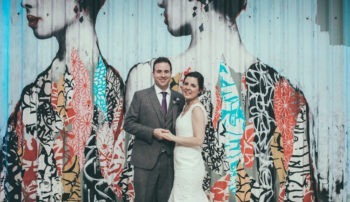 “We first met Chris and Shaz at a wedding fair and immediately felt comfortable and relaxed with them. 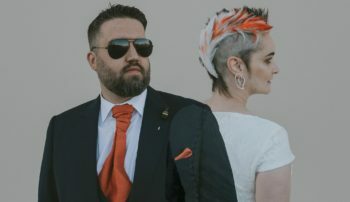 After looking at their portfolio, we knew their unique style was exactly what we wanted for our wedding photos. Chris listened to our vision for the day – wanting relaxed/in the moment pictures. On the wedding morning Shaz was especially fantastic- not only capturing beautiful intimate moments of us getting ready but she also was an invaluable help to my partner while she was getting ready – going above and beyond to make sure she was happy – dress was tied correctly, mother of the bride corsages were pinned the right way…. During the day, Chris, Shaz and Aaron worked seamlessly – blending into the background allowing us to enjoy the day and they captured it all perfectly. So many guests commented on Chris’ humour and relaxed approach to the group shots. Shaz used some amazing creative techniques to make our couple’s photographs extra special – we love them. 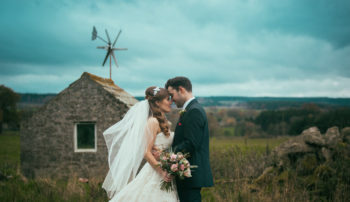 We can’t speak highly enough of the team and we’re grateful that we have fantastic photographs to relive the day from – beautifully edited to suit the style and venue of our wedding. Thank you! "Captured every part of our day brilliantly! Can’t thank Chris and Shazia enough!" Paul and Laura were married on Saturday 28th July 2018 at Redworth Hall, Darlington. “Chocolate Chip photographed our wedding day late last month. The pictures have only taken a few weeks to get back to us and they are amazing! Captured every part of our day brilliantly! Can’t thank Chris and Shazia enough! We didn’t want to spend all day posing for photographs and opted for more natural shots and they have managed to capture a range of both. "Chris totally listened to what we wanted and nothing was a problem." “If you decide to book Chris at Chocolate Chip for your wedding you will not be disappointed!! 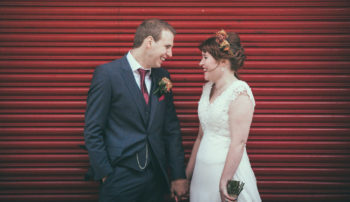 Chris recently shot our wedding in July and I was so, so happy with our photographs and the speed in which we got them back. Chris totally listened to what we wanted and nothing was a problem. Would highly recommend doing the pre- wedding shoot also as this really helped to relax us into what to do on the big day. The one thing I wondered if I would regret about not booking for our day was a videographer and I can honestly say that when I saw the photos and the layout and presentation that I hadn’t had worried as it is like a storybook of our day and I really didn’t need a video to be able to watch it back as I can see my whole day through the beautiful photographs. "It was as much about having two friends there as it was photographers"
Claire and Carl were married on Saturday 16th June 2018 at Tynemouth Priory, Tynemouth. “Chris and Shaz were amazing. From start to finish. 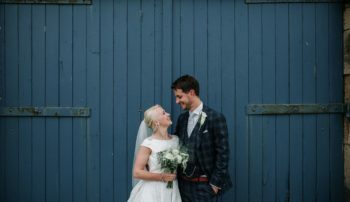 We had such a great experience with them, from finding them firstly and reviewing their style and previous weddings – to the initial consultation and then arranging the pre shoot with them. They were such good fun, guiding us through something we knew little about, offering us great suggestions and ideas in tune with who we were and what we, as a couple, were about. You could sense that when they asked just the smallest of questions, the cogs were turning in to how to bring that to life in their work. And the wedding day – it was as much about having two friends there as it was photographers. The shots they captured and fun we had doing it will stay with us forever. "Would definitely recommend these guys (and already have!) 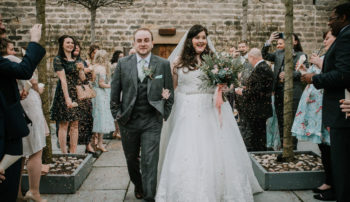 Our photos are amazing and we can’t thank you enough"
Laura and Dale were married on Friday 1st June 2018 at Healey Barn, Northumberland. “We knew we wanted Chocolate Chip to photograph our wedding from the first time we met Chris. After a cup of tea and an informal chat at the studio our mind was made up. He was so relaxed and friendly which is just what we wanted! Dale and I wanted our day captured as informal as possible with lots of natural shots and no poses (personal preference!) On the day Chris went above and beyond what I thought a photographer would do, I was so grateful to have him by my side, there with advice and guidance every step of the way. He worked brilliantly with our videographers which put me at ease. "They helped our day run smoothly, were very organised, but also at times felt like one of the guests." “Couldn’t recommend Chocolate Chip enough. 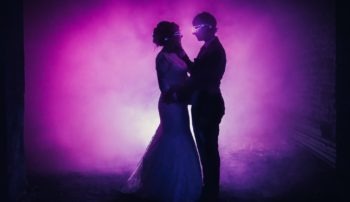 Chris and Shazia captured our wedding perfectly with their unique style and the photos are exactly what we hoped for! They helped our day run smoothly, were very organised, but also at times felt like one of the guests which helped them get some amazing shots of our guests on the night. "Chris made it fun and we are delighted with the images we received." Lindsay and Stephen were married on Saturday 5th May 2018 at the Assembly Rooms, Newcastle Upon Tyne. 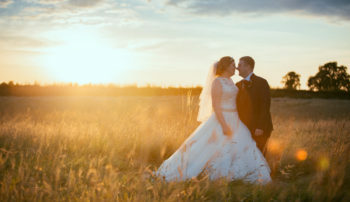 “Chris was fantastic throughout from our first meeting to the pre-shoot then wedding day. It was a pleasure to have him with us on the day, chatty and friendly but professional making sure he captured the photos we wanted. I’m not keen on having my picture taken but Chris made it fun and we are delighted with the images we received and have happily displayed them around our home. "It didn't feel like someone I'd hired to take photos was around all day, Shazia just blended in and chatted and ninja'd around." Sarah and Alan were married on Sunday 8th April 2018 at Healey Barn, Northumberland. 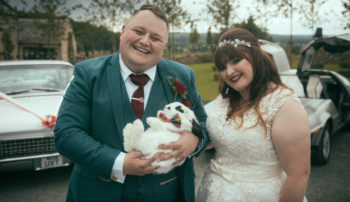 “Being a plus size bride, the idea of having my photo taken causes me quite a bit of anxiety. I also had such high hopes that I would love my wedding photos, as any bride would, but I kept thinking about how I was going to ruin them. Shazia made me feel so comfortable when she was taking our photos and we hardly noticed her (even with blue hair!) as she snapped the day in the background. She kept my lipstick and my perfume in one of her many camera bags and even helped my mum and friend get my dress on. It didn’t feel like someone I’d hired to take photos was around all day, she just blended in and chatted and ninja’d around. She had such a long day but didn’t leave until she was happy that she had snapped as many evening guests as possible. Even though she was on holiday straight after my wedding, our photos were ready much sooner than I’d thought! I LOVE every single photo. She captured everything. Every beautiful detail that I would like to remember. And I look beautiful in all of them! We couldn’t be more grateful for what she did. She is extremely talented, very professional, and an actual human being. 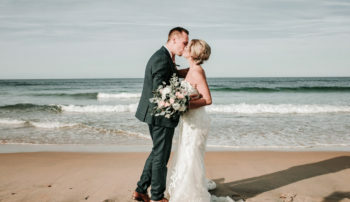 "I cannot recommend a photographer more if you want to have a fantastic, fun filled wedding day and end up with the best wedding photos ever!!" Rob and Anikta were married on Saturday 17th February 2018 at Beamish Hall, County Durham. 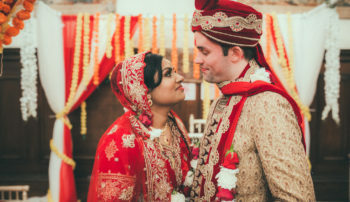 “We knew immediately when we met Chris and Shazia that we had to go with them and it was the best decision ever. They are the most wonderful people and do the most amazing work. In the build up to the wedding, they were always on the other side of the phone with whatever questions we had and we had the best pre wedding shoot with them. On the wedding day, it would not have been the same without them. Shazia was a really calming influence on the morning of the wedding and she was just so helpful!! The back of my dress broke and she helped me fix it – she had solutions to every problem that came up! She was so much fun to be around and really made the experience amazing. Chris was just fantastic on the wedding day – he really took charge and controlled what was going on on the day. 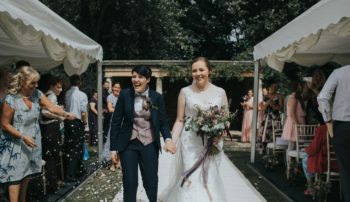 Our wedding was a long, very complicated one as we had both a church wedding and an indian wedding and they captured every moment of it brilliantly. "I wholeheartedly recommend Chocolate Chip!" Sarah and Daniel were married on Saturday 28th October 2017 at Blackfriars, Newcastle Upon Tyne. “We picked up our photos earlier this week and we absolutely love them! Chris made things run so smoothly on our wedding day and helped talk us through what to expect. Who knew an allen key would help fasten a wedding dress? Letting Chris and Shazia lead the way during our couple’s shoot took us to some unexpected places and means we have something unique to treasure forever. I wholeheartedly recommend Chocolate Chip! "You only get one chance at capturing your wedding day, and Chris and Shaz will absolutely exceed your expectations." Sarah and Chris were married on Saturday 14th October 2017 at Healey Barn, Northumberland. I first came to know of Chris and Shazia when I visited a wedding fayre (which I loathed, as I’m not into people battling to give you their sales pitch)… they were a breath of fresh air and I thought “I need to go and check out what they are about”. I am so glad we did. 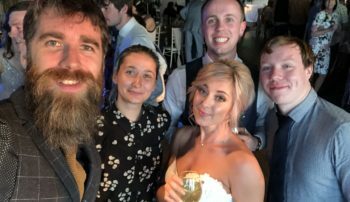 We were instantly put at ease, and we instantly knew they would fit in with our day, due to their laid back and approachable nature (and the fact that the majority of our friends have rocking hair and beards and they would blend in!). On the day of the wedding, they really went above and beyond to make the whole experience so laid back and effortless (Shazia even took one of our guests to the wedding when one of the wedding cars didn’t turn up!) and to capture some stunning pictures. Their pictures are absolute works of art. Truly. We didn’t want a ‘paint by numbers’ set of pictures, or to follow a pinterest board – we wanted something that would be unique to us, and that was absolutely what we got! When Chris asked if we were up for doing something a little different, we were more than happy for them to do whatever they wanted – we love films, and one of our main images looks like it’s come straight out of an old-school, Spielberg film. It is absolutely beyond what we ever thought was possible for wedding photography. They really are true visionaries, and everyone has commented on how beautiful our shots have turned out. They captured the essence of our day perfectly – so many natural shots of people laughing, completely unaware, which is exactly what we are about as people! And some truly beautiful, intimate moments captured perfectly. I honestly cannot recommend their work highly enough. When we looked through the pictures, I’m not ashamed to admit I shed a few happy tears (which never happens as I’m a joker, as opposed to a crier). We could not have asked for more. If you are in doubt as to whether you should book, don’t hesitate. They are worth every damn penny. You only get one chance at capturing your wedding day, and Chris and Shaz will absolutely exceed your expectations. Thank you guys. "Chocolate Chip were our favourite and worth every penny!" Sarah and Ayden were married on Saturday 3rd November 2017 at Healey Barn, Northumberland. Of all of the suppliers for our wedding Chocolate Chip were our favourite and worth every penny! We met Shazia and Chris at a wedding fayre with a room full of other photographers they really stood out. We got chatting to them and knew we wanted to book them just by talking to them as they made us feel relaxed and we really liked their personalities. Then we looked at their other work and win win their work was much better quality than the other photographers in the room. Throughout the whole process they were really good and they had really good advice and tips on the whole planning process and other wedding related stuff. On the day they were also the glue holding the day together making sure everything was going as it should be. On the day Shazia was with me and my bridesmaids and she shrunk into the background and got loads of shots where I hadn’t even realised she was there. She also has a lovely temperament with all of my family saying what a lovely lady she is. Chris was also amazing with our guests, taking charge of them but not in too pushy a manner. He knew exactly how to manage everyone and make them all laugh. Also me and all of my guests loved his poncho and camera holster. Throughout the day they were not intrusive and had everything planned beforehand so we didn’t have to think about anything and weren’t being bothered at all. After the wedding we got our photos back really fast and they’re amazing. We really love all of the shots but mostly I think our day went smoother by having them there putting us at ease. We were really glad to have them there as part of our day. "Can't thank them enough for making us look awesome!" Ellis-Jo and Lauren were married on Saturday 11th November 2017 at Woodhill Hall, Otterburn. “Absolutely mind blowing photos and people! Can’t thank them enough for making us look awesome! Very nervous about the photo side of our wedding, but Chris and Shazia made us feel comfortable. Took away our wedding nerves. 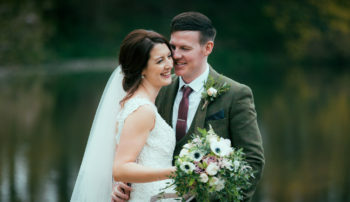 "We honestly couldn't be happier with the results - there are so many gorgeous, natural shots and we can now relive the day with all of the details! Emma and Anthony were married on Saturday 6th May 2017 at Doxford Barns, Northumberland. 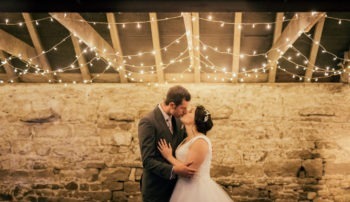 “We have just collected our photos/video from our wedding at Doxford Barns and we are absolutely blown away with them! From the minute we met Chris/Shazia from Chocolate Chip we knew that they were the photographers for us and they definitely did not disappoint! Shazia was more than a photographer on the morning of the wedding, calming me down and helping me with the final details like my jewellery yet still managing to capture the most amazing shots of us all getting ready! Throughout the day, both Chris/Shazia were so chilled yet somehow managed to keep all of our guests in check, getting all the photos that we wanted but not being intrusive in any way, it was almost as if they were guests at our wedding, just mingling with everybody whilst snapping away and the photos just speak for themselves! 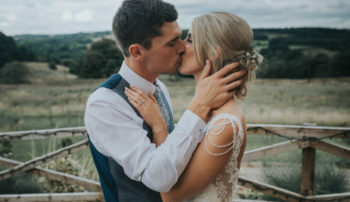 Chris listened to us when we said we didn’t want any ‘cheesy’ or ‘posed’ photos and managed to do something a little bit different for us with this in mind and we honestly couldn’t be happier with the results – there are so many gorgeous, natural shots and we can now relive the day with all of the details! Chris also put up with us being indecisive about whether or not to go for a video too during the run up to the wedding – with only a couple of weeks to go we decided we did want the video and Chocolate Chip were able to make this happen for us. The video captures the whole day just perfectly, we have laughed, cried and smiled from ear to ear whilst watching it and we are so grateful that you swayed us and we now have this to treasure forever. "I have never seen photos where myself and my husband look so relaxed and natural, for the first time ever we cant pick which is our favourite of us!" Laura and Aaron were married on Saturday 8th July 2017 at Ellingham Hall, Northumberland. “It’s so hard to fit into one review just how great these guys are! Our photos are beautiful, every second of our day has been captured and we love how each photos reflects how fun and relaxed our day was. On the day Chris and Shazia blended into our day seamlessly, they captured all our key shots with no fuss and so quickly putting everyone in shot at ease. I have never seen photos where myself and my husband look so relaxed and natural, for the first time ever we cant pick which is our favourite of us! 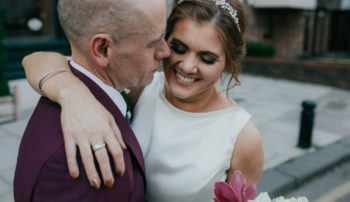 We couldn’t of asked for any more from Chris and Shaz on the day and also on the run up to the wedding, they responded to our messages almost instantly, calmed our nerves and talked frankly and honestly on all things wedding, not just photography. 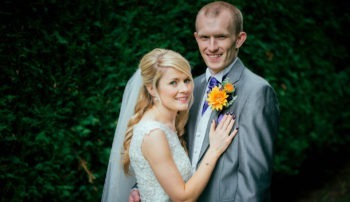 Rachael and James were married at Chilton Lodge, County Durham. “Chocolate Chip are amazing…simple! 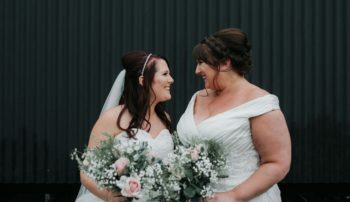 Myself and husband collected our wedding photographs and I am in love with them we got to relive our day all over again looking at them. We must thank Chris, Shazia and Martin they were brilliant throughout the day and got some amazing photographs. The photos are beautiful! Not a cliche in sight! A real mix of natural shots and amazing set up images that reflect the atmosphere of the day perfectly. Lynsey and John were married on Saturday 12th August 2017 at Le Petit Chateau in Otterburn. 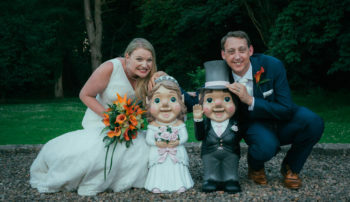 “After weeks of researching what felt like every photographer in the north east we finally booked an appointment with Chocolate Chip after being given a recommendation from our florist. They were everything I was looking for! Approachable, creative and actually interested in what we liked and what our vision was for the wedding. On the day Chris was fantastic, very professional and disappeared into the back ground – to the point that after the wedding I was disappointed that I thought we wouldn’t have many photos as I hadn’t really seen him! I was wrong. Samantha and James were married on Saturday 16th June 2017 at Roundthorne Country House, Penrith. “Chris and Shazia are two lovely and amazing people! 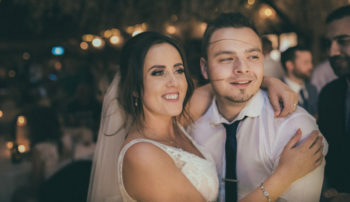 They were very helpful and professional right from the start of me contacting them to discuss our wedding.They aren’t like your average photographers, they’re unique and exactly what we were looking for in our photographers. We got on very well with them from the start. They got on well with all guests and staff as though they have known them for ages. They make you feel very at ease and comfortable through the whole process not just on the day. They are more than just photographers, Shazia helped me get dressed, put my veil in, attached my something borrowed to my bouquet, put my bracelet on for me, carried my lipstick around, help alter my bridesmaids dresses through the day. She did not have to do any of this, it is not part of her job but she wanted to help anyway and I couldn’t thank her enough for getting us all sorted on the day. They make you laugh and they join in with the day as though they are the guests which is great. It helps the guests relax too. 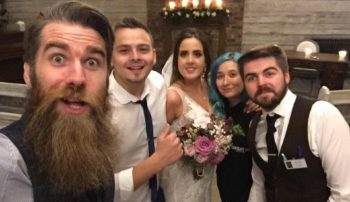 I can’t thank them enough for being part of our special day, it was amazing and thanks to them they made it even better. We now have our photographs back and they are out of this world! We are over the moon with the finished products. The photos they captured throughout the day are magical and exactly what we wanted if not better. We now can’t wait for them to create our album for us. Thanks to these guys we can re live our wedding day over and over again and that is something that’s truly amazing!! They put so much hard work in to be the best and they are. "They are like family are absolutely spectacular on both a professional and personal level." Sophie and Michael were married at the South Causey Inn on Friday 21st July 2017. 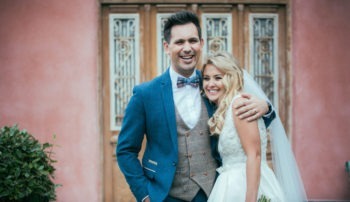 “Choosing a photographer /videographer for a wedding isn’t just buying into a service, it’s commitment from both sides knowing and accepting that these guys will be spending what may be the biggest and most important day with you and they will be a part of your memories for the rest or your life. From day 1 of booking they have always kept in contact, we have met up and discussed ideas. They turned up on the day so relaxed which really made us feel at ease. Such a fantastic couple, their collaboration of ideas are outstanding! So quick to get the perfect shot. They stayed with us all day, family and friends commented saying they seemed like guests, they blended in so well and no one felt uncomfortable. They have gone above and beyond, even helping me with blister plasters for my feet late a night. Choosing Chocolate Chip was one of the easiest decisions we had the pleasure to make and boy oh boy are we glad that we did! We would 100% pay double the money just to have them again. Everything was perfect!! We have certainly found ourselves some new friends. Phillipa and Jonathan were married at Healey Barn on Friday 23rd June 2017. 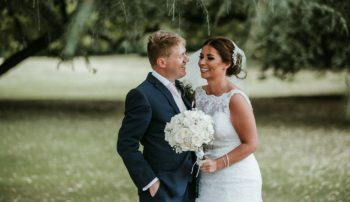 “Chris and Shazia were absolutely incredible on our day.From the first meeting with them we were put at ease, no question seemed too silly or too bizarre to ask. They helped us the entire day, any questions that we had, any pictures that we wanted taken, any group shots that we wanted were taken care of. They mixed in with the guests and made sure to get all of the shots that we were likely to miss due to the chaos of a wedding day. They went above and beyond the entire day and they made the whole day perfect and captured it exactly how we wanted to remember our amazing day. They made us feel like their friends rather than just another client, they stayed at the wedding until it got dark which in mid-summer was about 10:30/11pm at night to get some sparkler shots and they checked before they left that we had all the shots that we wanted from the day. We would recommend Chris and Shazia to absolutely anyone that asks (and doesn’t ask) as they aren’t just getting a photographer at their wedding, they are gaining some friends that want to capture you at your best throughout the day. 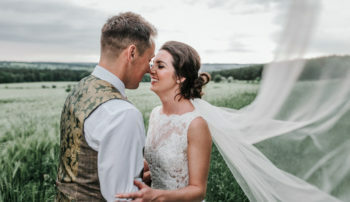 "They are no ordinary photographers"
Hannah and Dominic were married at Hoults Yard in July 2017. “Chocolate chip photography are no ordinary photographers. 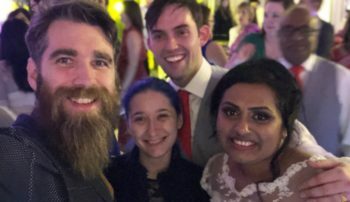 They made our wedding day and planning experience amazing- always making us feel at ease and as if we were in the company of our friends that we’ve known for years! Keeping us calm under pressure and, for want of a better phrase, going above and beyond throughout. From helping me get into my dress, to working out how to use the grill so I could have some toast to calm the pre wedding nerves. The experience we had was faultless. Not to mention, their photos are AMAZING. Being able to contact both Shazia and Chris at almost any time. The way they use Pinterest to gauge what kind of photos you like.